Many people know LinkedIn as being the number one professional networking platform that job seekers use as a great resource to find work. But, it’s not just a place to park your resume and connect with people – it is a must for chambers who engage in social media. If you don’t have a company profile page, or if it is not being utilized to its full potential, these tips can help you get there. chamber blog members will actually read. Get the guide now. 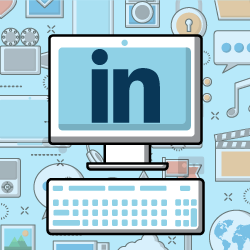 The LinkedIn platform is an effective vehicle for distributing content, facilitating groups, and engaging members. This has led to chambers leveraging it to drive attendance, host group discussions, and provide virtual mentoring to members via an accessible career-management program. Do include a mission statement, vision, or ideology, and a little chamber history. Do study other Profiles. Look at other chambers you look up to, or other companies. Note the style and tone for stand-out profiles. Do include your logo and match your online branding. Do use descriptive leads with keyword-rich copy. Company Pages are SEO-friendly and Google previews up to 156 characters of your page text. Do not use specific jargon and general statements. Stick to recognizable terms for all. Do not allow your profile to become stagnant. Schedule regular posts to keep your chamber active on the platform. Avoid self-promotion in groups or posts. Focus on offering value any time you engage. Do not use “canned” invitations when growing your network, but do pay attention to what is on a person’s profile and communicate accordingly. After your chamber profile page is set up properly, do join and participate in groups, in addition to any you set up. and start using it as your go-to member recruitment tool. This may seem obvious, but one of the easiest things you can do on LinkedIn is to make sure both you and your staff have professional profiles that highlight each person as an individual. This is crucial because executives, and often staff, become the face of your organization. Networkers who find your chamber, will no doubt also find you, and vice versa. So be sure to take the time to make all touchpoints as polished and complete as possible.